In most development processes hiccups are unavoidable. Our grasping application using the Niryo One arm was no exception. During testing, we had two of our arms break down and with this post, we would like to share our experiences with debugging and resolving these issues. As far as we can understand, the axis 6 motor (Dynamixel XL-320 model) in the first arm, which is responsible for turning the gripper around, was damaged due to the gripper hitting the table. Since the gripper does not have an applied force feedback shutdown procedure, one of the motors probably broke down from overloading. Note that there is no gripper URDF model provided and octomap integration into the project was not yet complete at the time, so the kinematics planner was not aware of the table’s existence. As for our second arm, the culprit was the power adapter. The Dynamixel XL-430 motors are rated for 11.1 Volts, but the adapter supplied is a 12V one, which can cause permanent damage due to overheating if the arm is operating for prolonged periods of time. This design oversight was amended in Niryo One models shipped after November 2018, but in any case, you should check the rating of the power adapter provided and request a replacement if needed. 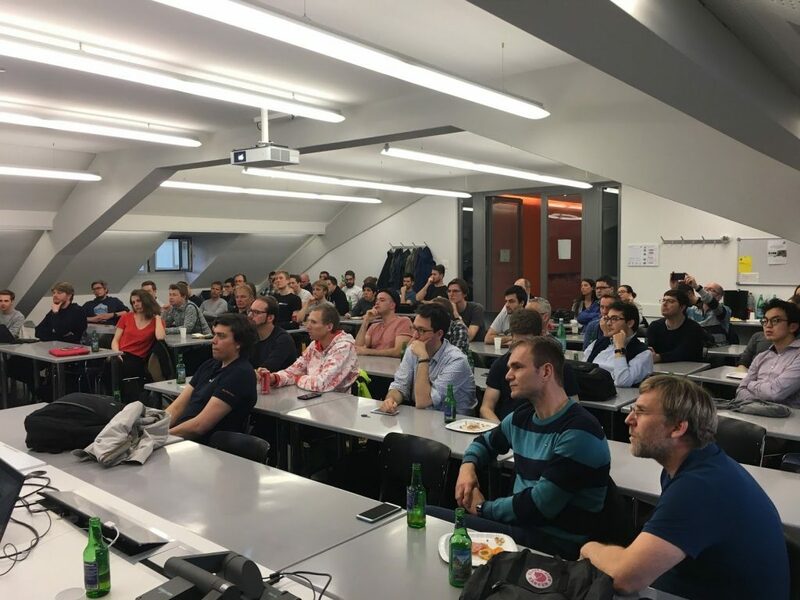 ICCLab organized the first robotics and ROS meetup in Zürich on April 9th 2019. There was a good turnout from representatives in both academia and industry, totaling almost 60 people in attendance. This meetup is the first of hopefully many that we intend to organize, as part of our effort to build a local network of ROS users across many robotic disciplines. Besides networking, our goal for these meetups is to also provide a platform for individuals to share and teach specific robotics/ROS knowledge. For this initial meetup we had two presentations: vision for navigation in autonomous robotics, and ROS applications at ICCLab. Nearly 60 attendees were present at the first robotics and ROS in Zürich meetup. We haven’t updated the blog with robotics news in a while, but we actually have plenty to tell and much more to come soon. First of all the robotics team has gained new strength with the addition of Andy, Dimitris, Leo, Rod, and Thomas. Tobi and Lukasz have left us, but we are still working on collaborating remotely. On top of amazing people, the team has grown also in terms of robots. From the month of October we have finally started receiving our new robotic hardware and got to play with it. 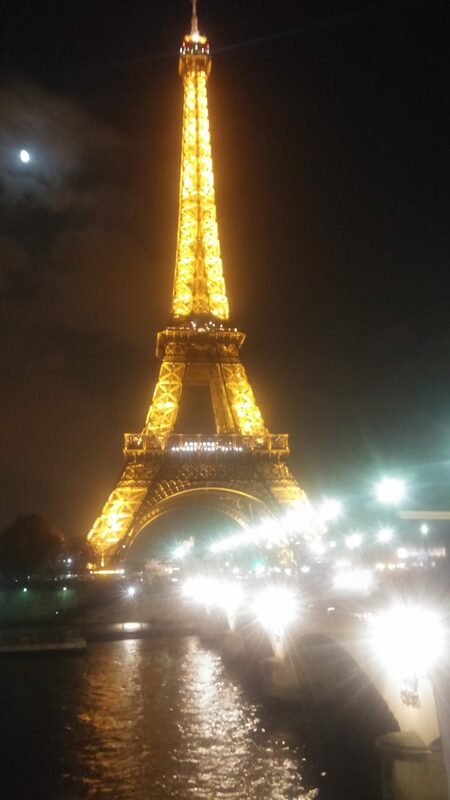 The 8th IEEE International Symposium on Cloud and Services Computing (IEEE SC2) 2018, took place in Paris, France, from the 19th to 22nd of November. The conference was co-located with two more events, namely the 5th International Conference on Internet of Vehicles (IOV) 2018 and the 11th IEEE International Conference on Service-Oriented Computing and Applications (IEEE SOCA) 2018. 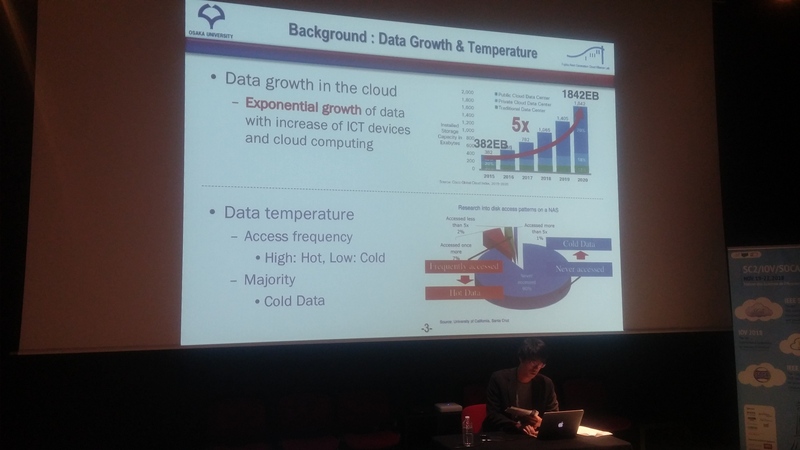 We from the ICCLab participated for first three days of the SC2 conference as its focus on Cloud related topics meets our expertise and research interests for research and development activities. The main themes in focus were Cloud Platforms and Services, Networking and Services, and Cloud and SOA Services. As an important venue for researchers and industry practitioners, SC2 offered the opportunity to exchange information about recent advancements for IT-driven cloud computing technologies and services. The conference hosted a good number of participants for a familiar context were interacting with peers was easy, not in the last place over the coffee and lunch breaks. In total 68 oral presentations were planned in 15 sessions. Additionally 10 posters were presented in a poster session and 3 keynotes were organized. 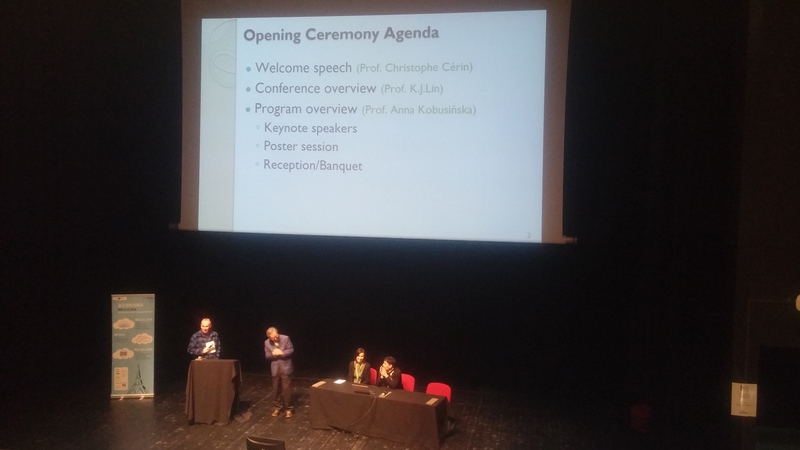 The conference was organized over three days, with the first day being dedicated to tutorials and the next days with parallel sessions for each of the co-located conferences. Besides attending the event itself, the main motivation to visit the SC2 conference was to present our paper entitled “Hera Object Storage: A seamless, Automated Multi-Tiering Solution on Top of Openstack Swift”. In the presented paper we highlighted some of our recent results from research in the field of Cloud storage. In particular, the focus of the contribution is in the fast-growing field of unstructured data storage in distributed cloud. We proposed an object storage solution built on top of OpenStack Swift. This solution is able to apply a multi-tiering storage to unstructured data in a seamless and automatic manner. The object storage decisions are taken based on the data temperature, in terms of current access rate. The first day of the conference, was the day of my arrival. The first tutorial I could attend gave insights in the NVIDIA company and their activities in the automotive industry. Various interesting results were presented, supported by real-world test videos. We could see how NVIDIA as a market leader supports manufacturers in building self-driving cars. We could appreciate how a full range of real-world conditions influencing the traffic conditions could be handled. The amount of work behind these results was probably not completely clear to many of us, but the needed hardware and software infrastructure was clearly huge! 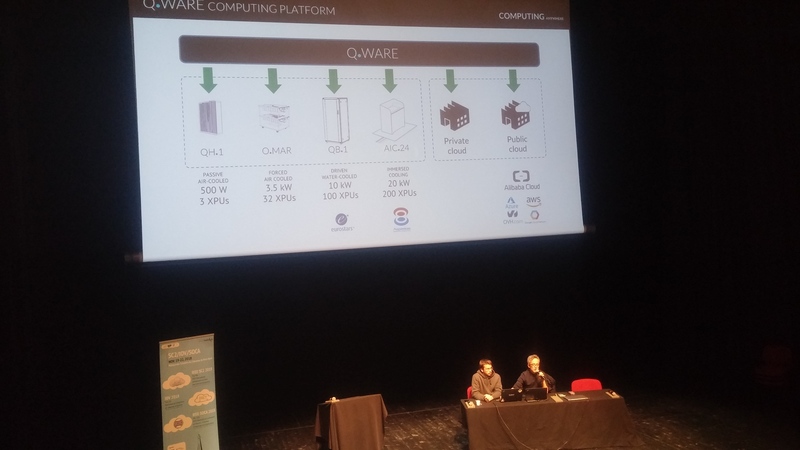 The second very interesting talk was showing an interesting business model presented by Qarnot computing, France. The model they presented promoted a solution where computing and heating are delivered from a cloud infrastructure. The solution is based on a geo-distributed cloud platform with server nodes named digital heaters. Each heater embeds processors or GPU cards and is connected to the heat diffusion system. With this solution, homes, offices and other buildings can be heated through the distributed data center which is able to balance the requests in computation and heating. The last tutorial of the day proposed some basics of machine learning for unsupervised algorithms. A review on the applications and the challenges faced when dealing with data sets was also given. The second day started with the official opening of the conferences with the presentation of the program. This was followed by a keynote on scheduling methods for elastic services as for a project driven by the AlterWay company in France. The rest of the day we had two conference sessions and a further Keynote speech where Cybersecurity, with its links to geopolitical issues, was in focus. In the first SC2 session I attended we could follow presentations about the following topics: a comparison between unikernels and containers, user plane management for 5G networks, a cost analysis of virtual machine live migration, and two papers on automated tiered storage solutions, one of which I presented myself. The second session was dedicated to work in progress papers, covering topics like contextual information searching for encrypted data in cloud storage services, smart contracts with on and off-blockchain components, cloud native 5G virtual network functions. The evening we could enjoy a banquet on the Seine river with all the conference attendees. The cruise on the Seine brought us close to the main sightseeing attractions of beautiful Paris. A fish-based dinner was served completing a perfect environment to exchange experiences with other conference participants. 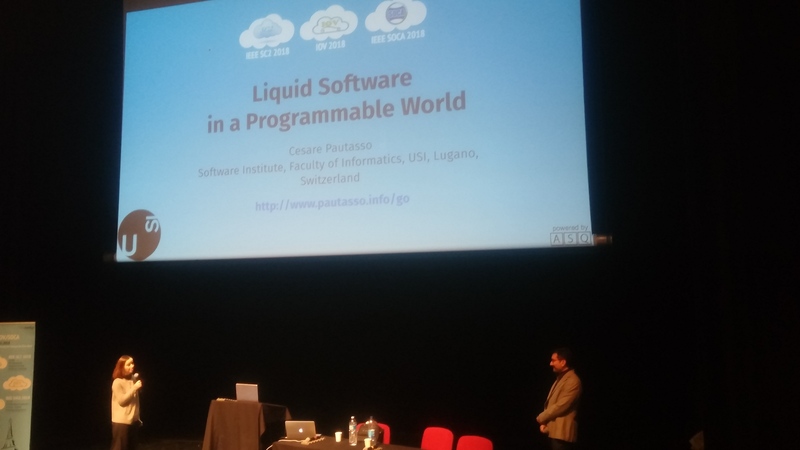 Day 3 started with an enlightening keynote speech of Prof. Cesare Pautasso from the University of Lugano, Switzerland, which described the recent trend in terms of software development. This is dictated by the current scenario where end-users have multiple devices to access their data and contents and managing their personal information. To best manage such a complex multi-device user environment Liquid software is needed, whereby software can seamlessly flow and adapt to the different devices. After the last session with some interesting papers presenting among others solutions for multi-objective scheduling in cloud computing, confidentiality and privacy issues in the Cloud, it was time to head back home. Our participation to the SC2 conference was definitely positive and we will surely consider next year’s conference edition as possible venue to share our new research experience.